You may have ended the session of kayaking through having lots of fun, but you don’t know how many health benefits you gave gained by kayaking. From my opinion, I would say you should go for enjoying this water excursion at least for a time of the week. Researcher proved that in some cases kayaking can give better health advantages than cycling. On the other hand, through gliding in the water you can be closely connected with the nature and wildlife while the ocean kayaking is more adventurous and a thrilling sport. So after passing the week or days through having a busy life, the kayaking can be an excellent source to reduce the stress and freshen up your mind. So let’s see what kind of health benefits the kayaking offers. Paddling isn’t as easy as the newbie paddlers think, whether you paddle in the calm water or rough water, you have to spend lots of your efforts to glide the kayak over the water. So when you stroke the paddle in the water, it engages all the major parts of your upper body while the legs work to ensure a proper balance for all time. Somehow you are applying almost all major body parts and unknowingly you are paying attention to workout by kayaking. So the muscles of the arms, shoulders, hands, chest and legs are built up and at the same time you are giving an excellent strength to the muscles of these parts. Even if you paddle for half an hour, there’s needed at least 700+ repetitions that ensure the amazing activity of this kind of workout. You may have been trying different ways to burn the fat and lose your weight, but the kayaking will work as a great way to build your desired body shape. You can gain something what offers the other sports to build up a body shape. Through stroke the paddles in the water you can burn lots of calories. From a source I have found it is still possible to burn 400 calories by paddling for one hour. So if you are kayaking for 6 or 7 times in every month, you can lose lots of your weight. After having a busy life in office, shop, factory or any workplace, everyone wants to remove them from clutter to freshen up their mind. So the kayaking is a way to disconnect you from the clutters and the stresses of your life. Because through stroke the paddle in the ocean, or lake or river or stream, you are on the way to be extremely connected with the nature. As a paddler I would say just imagine the blue water of the sea, or the calm water of the lake or the river surrounding by a wildlife or the big waves of the ocean, or the sky, or the birds, everything works like they are kicking out the stress from your mind and filling out your mind with some amazing memories. This is another great advantage the kayaking can do for you. Actually, when you paddle it shifts and turns the core area of your body that actually includes upper and lower abdominal muscles. So if you enjoy kayaking on a regular basis, you can get a great improvement in your body. It can improve your physical activities and let you enjoy a better life with a great physical health. Like cycling the kayaking improves the cardiovascular health. Simply when you paddle all of your parts of the body, especially the upper parts start working a lot that increases the heart rate and improves your cardiovascular health. So through regular kayaking you can ensure a great health for your heart that even decreases the chances of heart attack. We are gaining almost 80% Vitamin D from the sunshine and rest 20% come from foods. So no doubt there is a great advantage of the sunshine and amazingly you can get a massive number of Vitamin-D when you are kayaking. On the other hand, if you have the lack of Vitamin D in your body, then it can decrease the physical activity. Because having the lack of Vitamin D can make your bones weak. So include kayaking, any other activity in outdoor can fill the lack of Vitamin D in your body. 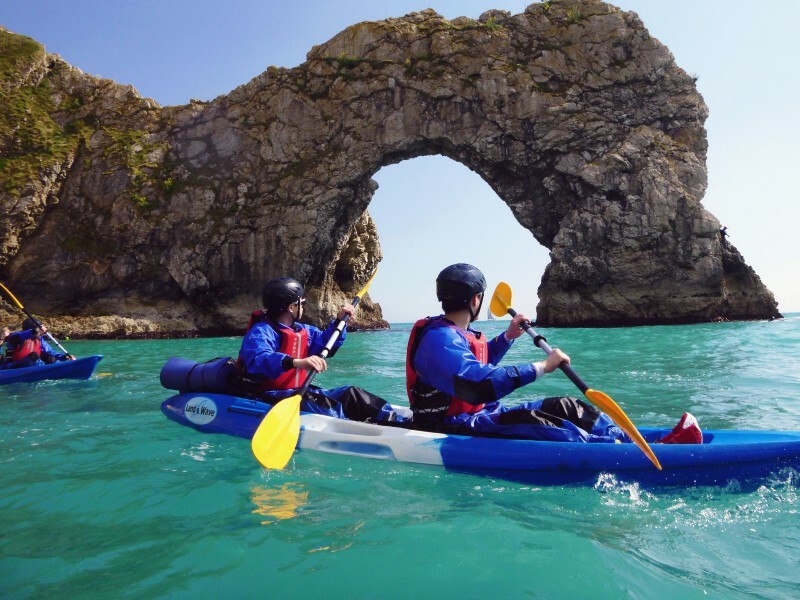 Like any other working activity the kayaking can also boost the energy levels. So your regular kayaking undoubtedly will let you to be engaged with a great energy level. As the result your physical activity would be reached to the peak level and you wouldn’t feel the lack of energy after accomplished your general working activities. During the time you stroke the paddle in water, you have to overcome many obstacles if the water like when you are kayaking in offshore. Because the paddling over the wave or rough water of the ocean or sea isn’t easy. So when you work hard to overcome these situations, it can increase your confidence. Moreover, it can build up the positive self image and always keep you confident to overcome many other challenges.